Every month we have a different Tap Takeover residency to celebrate a certain aspect of beer, from breweries to beer style or even particular countries renowned for their beer. Last month saw the Wild Beer Co take over and in May we’ve started off we another phenomenal British brewery – Beavertown! Alongside five lines dedicated to Beavertown Core range & Specials we will be holding a multitude of events throughout the month, some ticketed and some free to attend. You’ll have the chance to taste limited release beers, meet Nick Dwyer, Beavertown’s famously talented Creative Director and get to enjoy a huge Bank Holiday event – MiniVaganza! We will be running a month long Charity raffle with some awesome Beavertown & Beer Merchants prizes to be won. Wednesday 2nd May – Tap Takeover & Launch Party. We are also launching the Silent Auction, with 25 limited edition Beavertown prints available to bid on. Whomever bids the highest throughout May will walk away with the artwork. Wednesday 9th May – Tempus Project & Cheese Tasting. * This event is Sold Out. Dont miss next month’s tasting, make sure you get your tickets early! 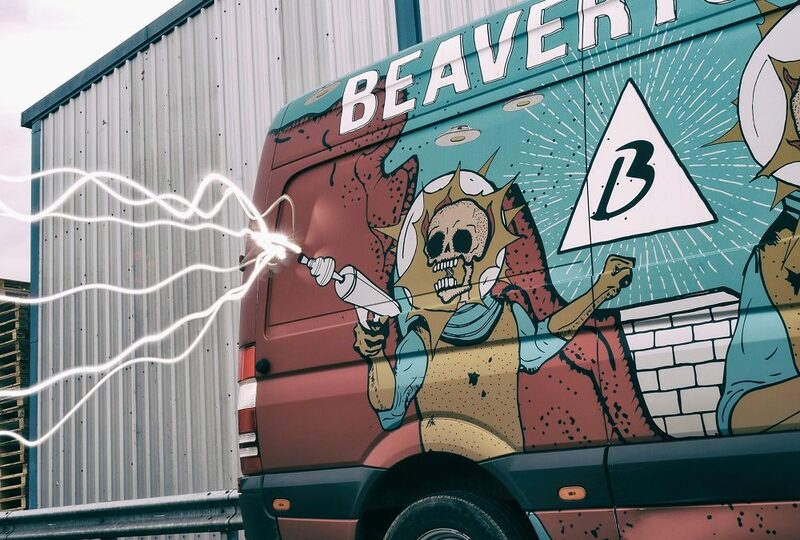 Wednesday 23rd May – Beavertown Influencers Tasting Every month we ask our Resident Brewery to lead a tasting pairing five of their beers alongside five beers that influenced them directly or that influenced the brewery along their journey. Thursday 24th – Monday 28th – Mini-Vaganza Bank Holiday Beavertown Party! For an extra special Tap Takeover weekend we have sourced some of the best beers from the best breweries that will be making an appearance at Beavertown Extravaganza later this year! Tap List over course of weekend will include Garage Project, Evil Twin, Cigar City, Alesmith, Stillwater Artisinal and many more! We’ll have DJs in Friday & Saturday night and a big family day on Sunday 27th! Monday will see the return of Beermerchants.com Mondays – ‘Drink In’ all our bottles and cans at ‘Take Out’ prices!